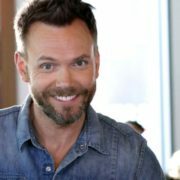 ABC has tapped Community alum Joel McHale to host its upcoming Card Sharks revival. He recently hosted The Joel McHale Show on Netflix. 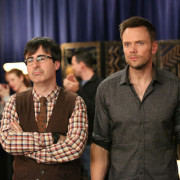 CBS has cancelled freshman comedy The Great Indoors, which starred Joel McHale. The series had its finale earlier this week. The new CBS sitcom The Great Indoors premieres tonight. 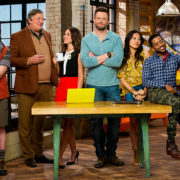 CBS has released the official trailer for upcoming workplace comedy The Great Indoors, which stars Joel McHale as an adventure reporter. CBS has ordered several new series for the 2016-2017 TV season, including MacGyver, Training Day, Bull, a new Matt LeBlanc series, and more. 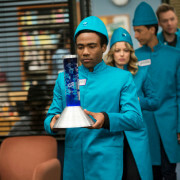 We look back at Community’s rebooted fifth season. A mature look at the ups and downs of friendships and self-truth don’t lead to many laughs, but still yields a satisfyingly introspective episode. We bid Bon Troyage in a wacky, familiar mess of an episode, but one that culminates in a well-earned conclusion. A eulogy for Pierce breaks down the group and sets Troy on a new journey, in one of the funniest and overall best episodes in years. A serial killer thriller homage does justice to the genre and supporting cast, but not always to the main characters.